Earn up to 998 Points. Being comfortable at the gym is important for all those who want to focus on their workouts. Which is why a comfortable women’s gym singlet is perfect for those who want to feel great during their workouts. You can see in the images how well contoured the fitting is. The action back finish is ideal to hug your upper body with the supportive stretch fabric. 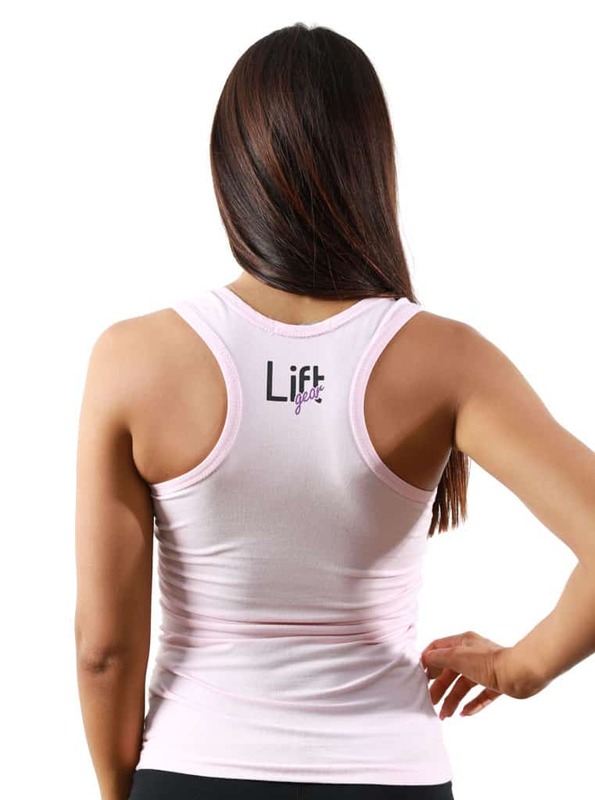 Woman’s Gym Singlet with the action back fitting. Supportive Slight Stretch Fabric, Flattering Cut. 90% Cotton / 10% Elastane Singlet Jersey Knit Fabric. We got feedback early on having the Lift Gear logo on the front and back. Overall, the feedback was positively in favour, especially with the colour combination of the pink singlet and purple wording. You can see it is light weight as well, so you can feel light and fresh during your workouts.